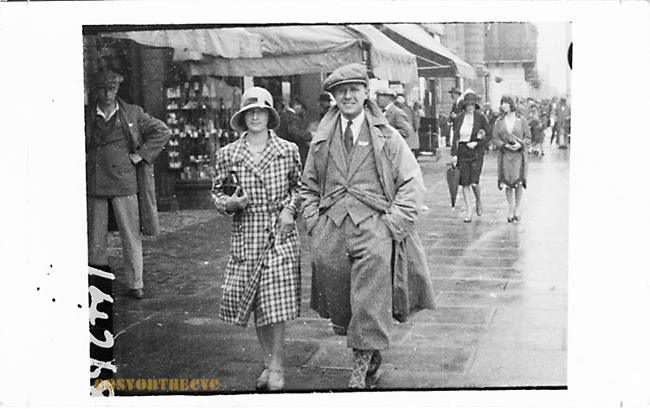 John Barker and his wife Blanche moved to Lowestoft around 1920/21 where they started a photographic portrait studio at 35 High Street. The company began taking walking photographs on The Esplanade, trading as “Promenade Snaps”, around 1926. By 1930 Barker and family were occupying and trading from 155 London Rd. South, Lowestoft. 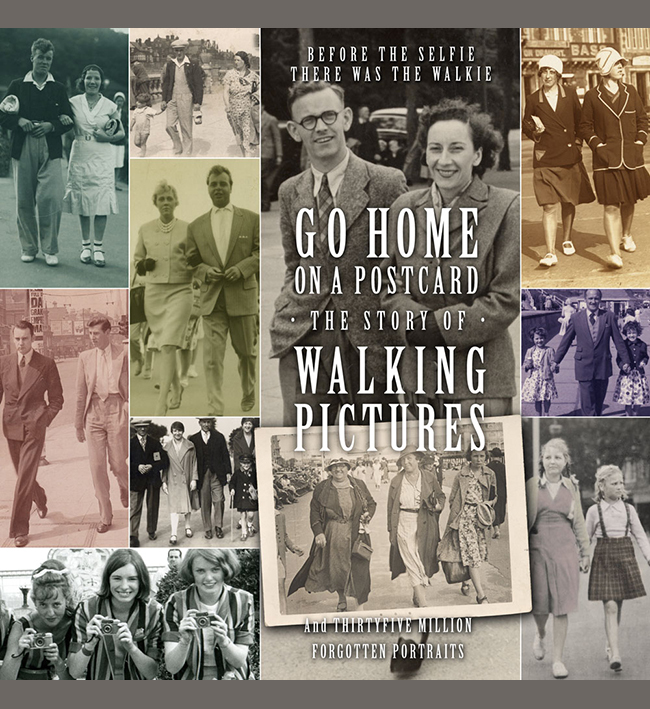 Early examples of John Barker’s “walkies” are mainly landscape format postcards though the actual photograph was quite a bit smaller. They have either of the two studio addresses (High Street or London Road) on the back. 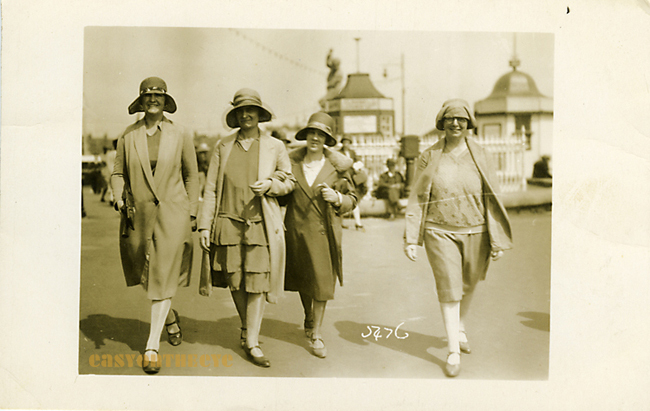 early Barkers walkie : Four ladies in cloche hats out for a stroll near the entrance of the South Pier Lowestoft on the 10th August 1930. We do not know what sort of camera was used to taken these early photographs but from around 1930 changes to the cards indicate that Barker had adopted a 35mm cine camera to take his walking photographs, a practise common to other firms at the time. At first it seems he took single frames and printed these to postcard size. Marine Parade Great Yarmouth in 1930 (collection of John Bracey). Lynn, I’ll pass your details on to Paul Godfrey who has connections with the family and would be interested to hear about your find. The sort of thing photo historians dream of happening! Lynn. I have sent you an email. Paul.